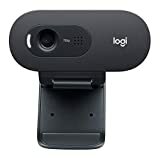 From the manufacturer Logitech C920S Pro HD Webcam Chat and Record Like A Pro Call, stream, blog and record in polished, professional Full HD video and audio. With spectacular HD 1080p video quality, dual built-in mics and advanced video capture software, C920S makes it a breeze to make your video presence stand out from the crowd. High-Def Video Calls Premium quality video that makes you look like a pro. Connect with everyone in Full HD 1080p at a fluid 30 frames/sec. on most popular video calling apps. 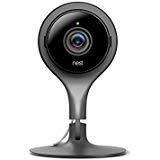 Full HD 1080p Video Recording Record crisp, clear, vibrant HD videos that capture the smallest details. Enjoy fast, smooth uploads with less demand on your computer. Clear Stereo Audio with Dual Mics Make sure everyone hears the real you. 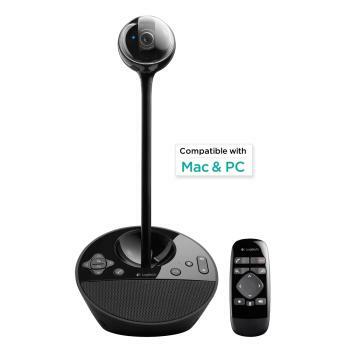 Two integrated microphones, one on either side of the webcam, capture natural stereo audio. Premium HD Glass Lens The Full HD, five-element glass lens captures razor-sharp, clear video. HD autofocus adjusts smoothly and precisely for consistent high def video. Automatic Light Correction Stream clear video, even in dim light. Video automatically adjusts to accommodate shadowy or harsh lighting conditions so you always look your best on camera. Privacy Shutter You’ll always have control of what you show—and keep the lens protected—with a snug-fitting cover that’s a snap to open and close. 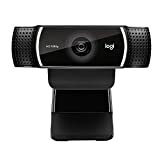 The Logitech Capture app makes creating video content with your webcam easy, fast, and intuitive. Customize your recording, adjust your camera settings, and even stream live to YouTube in one intuitive interface. System Requirements Compatible with: Compare Logitech Webcams 1080p HD Resolution 1080p/720p Better Video Quality Better Autofocus Full HD Glass Lens 78 degrees Field of View 78 degrees Stereo Microphones Privacy Shutter Accessories 3mo X-Split license 1080p HD Resolution 1080p Better Video Quality Good Autofocus Full HD Glass Lens 78 degrees Field of View 74 degrees Stereo Microphones Privacy Shutter Accessories N/A Color:Black_with Shutter Polished, professional full HD video calls. 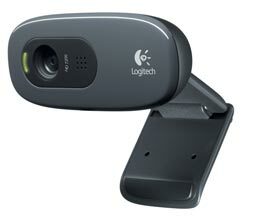 The C920S Pro HD Webcam delivers remarkably crisp, clear and detailed images in vibrant colors, with natural-sounding audio. 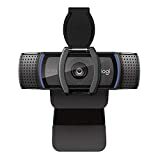 This web camera is specially designed to meet the needs of streamers who like to broadcast on popular websites such as Twitch and YouTube. You need a camera that works fast and well for this, and the C922x is exactly that. It has a full HD lens that records 1080p videos at 30 frames per second and is also capable of 720p resolution at 60 frames per second. You and your viewers can enjoy superior quality that doesn’t lag behind your games. The premium autofocus adjusts to various lighting conditions, whether the glare of a multiple-monitor setup or a dimly lit bedroom. The professional quality of this webcam gives you that edge to rise above the rest! Two integrated omnidirectional microphones with noise-reduction technology pick up sounds from every direction for a complete video that doesn’t lag. Don’t bore your viewers with the backdrop of a blank wall when they watch your stream – put yourself right in the action with Personify’s background replacement technology. It is incredibly easy to use and doesn’t need a green screen. Integrate your live image hassle-free and turn up the heat as you play your favorite games in front of a live internet audience. Breaking through as an online streamer can be challenging if you don’t have the right tools. Logitech helps you get started by giving you a free, six-month Xsplit license, whether for fun or professional use. One of the most popular streaming apps today, Xsplit allows you to fine-tune all of the different aspects of your live stream, including sound levels, lighting, text overlays, music, graphics, and so much more. 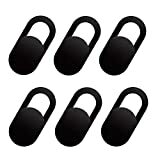 This license includes access to both the Broadcaster and Gamecaster apps. Record, edit, and broadcast all of your adventures in the gaming world with Logitech! BEST TEAM MEETING EXPERIENCE. Meeting Owl is the first 360° smart video conferencing camera. It automatically highlights and shifts focus to different people in the room when they speak, so you know what's happening as if you're there. EASY AND QUICK SETUP. Plug in the power and USB, load up your favorite video conferencing platform, and start your meeting. No downloads or installs. GIVE THE OWL A TRY. Use the 30-day return policy to try the Meeting Owl in your own office. Get feedback from your in-office and remote teammates and see what they think. 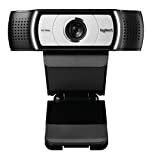 The award-winning ConferenceCam BCC950 is making high-quality group video conferencing more affordable and accessible to businesses of all sizes. 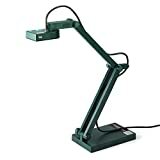 V4K Ultra High Definition USB Document Camera is your premier presentation tool – its 8MP camera allows you to capture ultra high definition live images up to 3264 x 2448; its high frame rate at high resolution helps deliver stunning silky-smooth live streaming without latency; its fast focusing speed minimizes interruptions when you’re showing and comparing different materials; its excellent noise reduction and color reproduction by Sony CMOS image sensor makes it perfect for capturing in dimly lit environments; its newly designed multi-jointed stand offers both versatility and a simple fix for tightening loose joints caused by heavy daily use. Last but not least, it is compatible with a variety of software and applications on Mac, PC and Chromebook as long as these software and applications recognize the video source coming from V4K, which is a standard UVC camera.